After six-year-old Toby Lee fell between a 13-inch gap between the footboard and the seat of a bleacher set at a community sports area in Minnesota and died of his injuries, legislators decided to pursue greater scrutiny in the area of bleacher safety. In 1999, after the the tragic death of Toby Lee, Congress petitioned the Consumer Product Safety Commission to issue national safety standards for bleacher and grandstand facilities due to numerous injuries to children at basketball and hockey arenas resulting from falls between the gaps of bleacher seats and guardrails. Although Congress emphasized the importance of watchful parents during sporting events, they also stated the responsibility venues have to insure that their facilities are safe. The desire for safer facilities not only locally, but nationwide, created the desire to press for strengthening safety standards legislatively in order to quickly inact the establishment of safe bleacher standards. House Bill H.R. 836 was created in 1999 and entitled, “The Bleacher Safety Act” proclaiming that new and safer standards would be adopted within six months. Minnesota was the first state that required the issuing of this federal standard. To help your school meet those required safety standards, Toadvine Enterprises has created Vine & Branch, a maintenance and safety inspection program for all your indoor and outdoor seating equipment. Our maintenance and safety program can help you maintain your required annual inspections and can also help you with any upgrades or written records. For more information on keeping your school bleachers safe, fill out our Maintenance and Safety form and a member of our staff will get back to you. Let Toadvine help you keep safety the name of the game. Are your bleachers and stadium seating up to code? There are new requirements for bleacher safety, and any facility with bleachers and public seating (indoor or outdoor), must be inspected annually. Provide routine inspection and maintenance, at least twice a year, in accordance with the bleacher's owner's manual. Use only trained personnel to open and close bleachers following instructions provided in the owner's manual. DO NOT ALLOW STUDENTS OR UNTRAINED PERSONNEL TO OPERATE BLEACHERS. 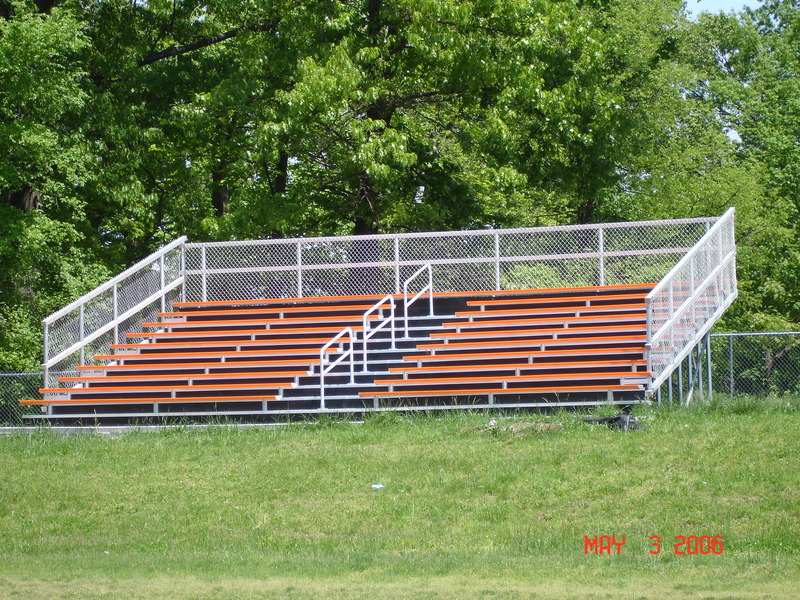 Install bleacher guard rails as a safety precaution and as an indication that the bleachers are fully extended. A licensed professional engineer, registered architect, or company that is qualified to provide bleacher products and services should inspect the bleachers and provide a written certification that the bleachers are fit for use. The option of replacing bleachers as opposed to retrofitting should be considered. Toadvine Enterprises and Vine & Branch introduce a maintenance and safety inspection program for all of your indoor and outdoor seating and equipment. Vine & Branch is fully staffed with manufacturer-certified service technicians to ensure the safety of your seating. 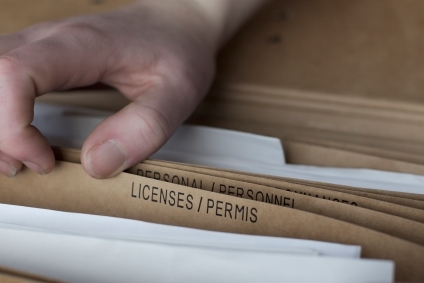 If you have not complied with your states regulations, you run the risk of having your facility closed. Quantities are limited so if you're interested in learning more, call our office at (502) 241-6010. Interkal LLC is a spectator seating company known for its design innovations as well as its ability to deliver products on time. Interkal has a rich history in spectator seating thanks to its dedicated employees and the fact that of all the products are made right here in the United States. 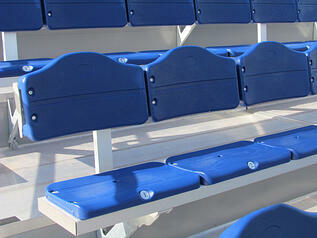 Interkal's engineering advancements have also helped them be a top manufacturer of spectator seating. Because of this, Interkal has created the Self Storing Aisle Rail (SSAR), also known as the F-Rail because of its unique design. Interkal's aisle rails are not your average rail sold by other suppliers. They're different from competitor products because the rail arms store away in the bleacher and do not protrude out into the “traffic” area when the bleachers are in the folded position. 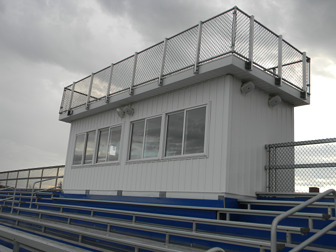 Other manufacturers “P-Rail arm” faces outward causing potential hazard to students and athletes when the bleachers are in the folded position. The SSAR is also a money saver to your school! The SSAR rail is a one-time installment and there is never again any set-up time. This will free your staff from spending countless hours a year on set-up and take-down of aisle rails. The SSAR isn’t only for new Interkal bleachers, this rail can be retrofitted to all existing Interkal bleachers. Check out pictures as well as a short video of the SSAR in action. Call Toadvine at 502-241-6010 or visit our website to see how we can help save your school money while insuring the safety of your bleachers. Storms have been rolling through the Kentucky and Southern Indiana areas lately. We’ve had tornado warnings (and some confirmed touch-downs), flash flooding, damaging winds, and severe thunderstorms. It’s been a rough ride so far, and we’re really just at the beginning of the storm season. All of the things listed above could be bad news for outdoor sports equipment and grandstand seating. 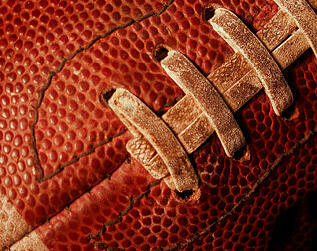 High winds could be damaging to equipment and sometimes make seating a safety threat for fans and spectators. Along with providing and installing this type of equipment, we also service it. If you even have a question about the safety of your bleachers you should complete safety inspection for all of your outdoor equipment, please contact us for a complete safety inspection. It’s better to be safe than sorry, especially after all the storms and high winds we’ve experienced. Use our contact form online. We have a 24-hour guaranteed response system in place so you can be sure someone will follow up with you promptly. Fill out our maintenance and safety interest form. Give us a call at 502.241.6010. We look forward to making sure your seating and equipment is safe and in good working condition.